Home Minister Rajnath Singh on Sunday said that the Government of India has decided not to extend the suspension of operations in J&K announced in the beginning of Ramazan. Announcing the Centre's decision on Twitter, Singh said that while the security forces displayed exemplary restraint during this period, the terrorists continued with their attacks, on civilians and SFs, resulting in deaths and injuries. "On 17th May 2018, GoI took the decision that Security Forces will not conduct offensive operations in J&K during the holy month of Ramzan. 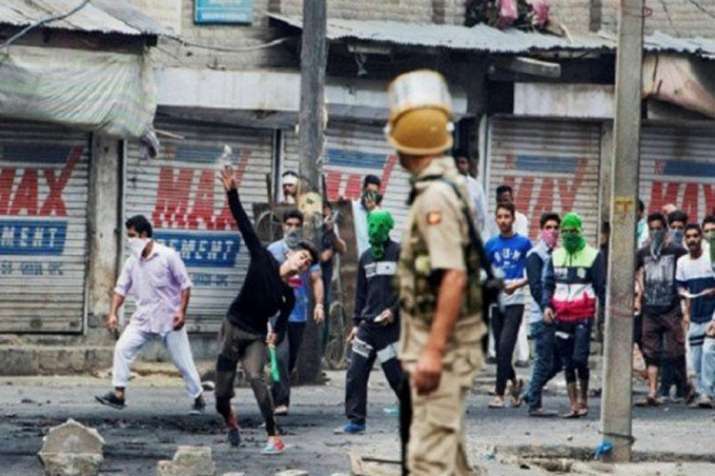 This decision was taken in the interests of the peace loving people of J&K, in order to provide them a conducive atmosphere to observe Ramzan," Sigh said on Twitter, adding that the government commends the role of security forces for having implemented the decision in letter and spirit in the face of grave provocation, to enable the Muslim brothers and sisters to observe Ramzan in a peaceful manner. This decision has been widely appreciated by the people all over the country, including J&K, and has brought relief to the common citizens, the minister said. The Home Minister has directed security forces to take all necessary actions as earlier to prevent terrorists from launching attacks and indulging in violence and killings. The Government will continue with its endeavour to create an environment free of terror and violence in Jammu and Kashmir, he said in a series of tweets. It is important that all sections of peace loving people come together to isolate the terrorists and motivate those who have been misguided to return to the path of peace, the minister urged. The Central Reserve Police Force (CRPF) has welcomed the ministry's decision. The end of ceasefire comes at a time when the Valley is reeling under the grief of the brutal murders of Rising Kashmir Editor-in-Chief Shujaat Bukhari and Indian Army soldier Aurangzeb, who was abducted, tortured and killed by terrorists while he was on his way home for Eid celebrations.